The Web Science Institute at the University of Southampton. 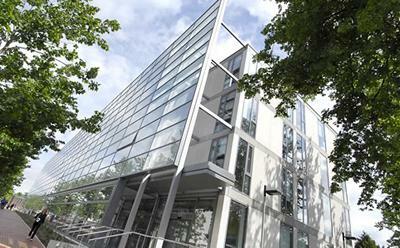 The Web Science Institute (WSI) at the University of Southampton has become the UK and Ireland Office of The World Wide Web Consortium (W3C). As the host of the W3C UK and Ireland Office, the WSI will help the W3C achieve its mission to broaden participation in W3C activities of more diverse stakeholders from the UK and Ireland. The WSI will foster relationships with UK technology and policy leaders and help to promote the adoption and implementation of W3C standards in the UK. The W3C UK and Ireland Office will also recruit and engage with members in the region, and develop education and outreach programs to raise awareness of W3C’s role and standards activities by sponsoring and supporting local events where there is a focus on W3C topics. The W3C UK and Ireland Office will be staffed by Susan Davies, Coordination Manager for the WSI, who will become the Office Manager and Professor Leslie Carr, Director of the WSI Centre for Doctoral Training, who will act in a Senior Advisor role. The WSI takes over from Nominet, who have been running the Office since 2010.